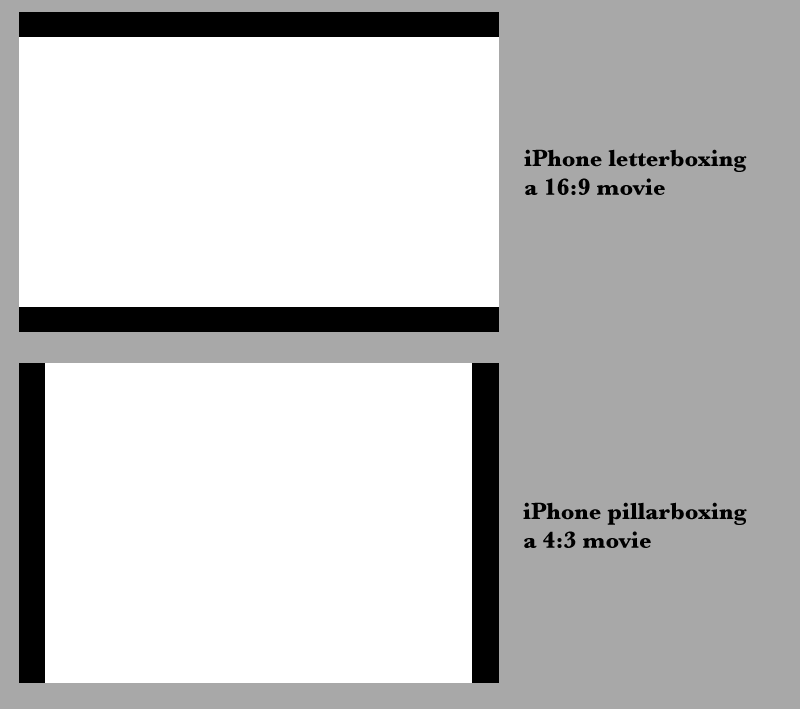 The iPhone screen is a nonstandard size, wider than 4:3 but slightly less wide than 16:9. It’s 480×320, which works out to about 14:9. The phone scales everything to fit when playing video, so it’ll letterbox a 16:9 movie, which will be pretty gentle. For further reading, see here and here.